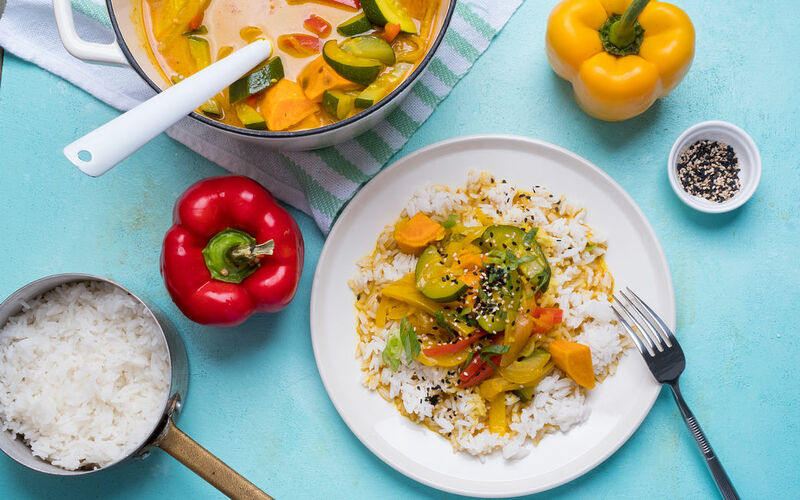 Our coco veggie curry is a new classic that will instantly turn into a crowd-pleaser! 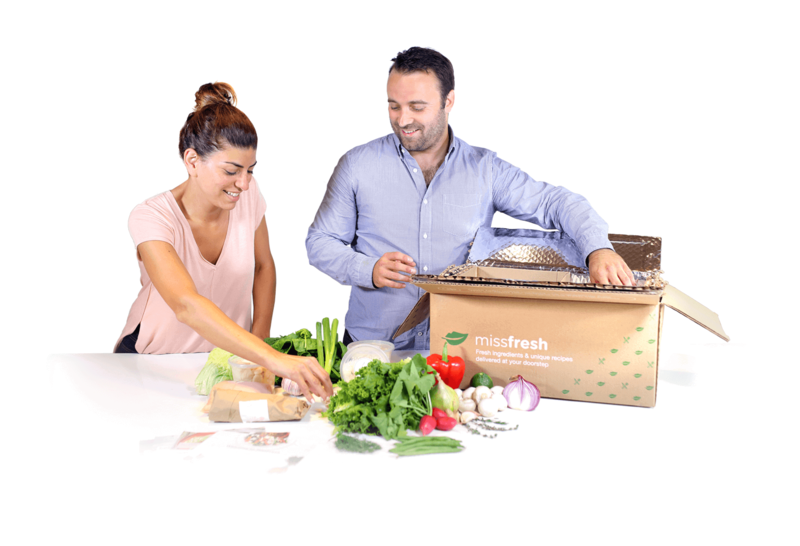 Made with a mix of zucchinis, onions, carrots, sweet potatoes and peppers, it's never been easier to have your daily vegetable intake! In a pot, bring 1 1/2 cup (3 cups for 4p) salted water and the rice to a boil. 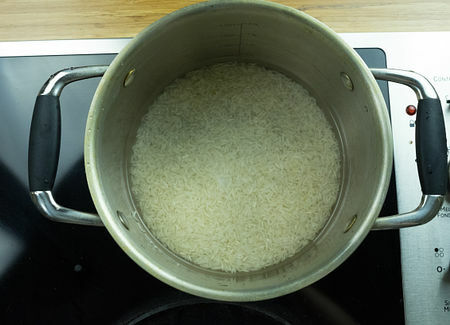 Once the rice is boiling, cover and reduce the heat to low and cook for 13 minutes or until all water has been absorbed. Remove from heat and set aside. 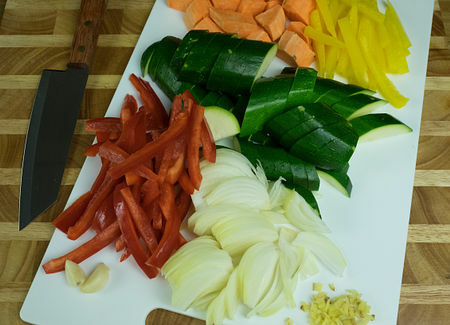 Slice peppers, zucchini and yellow onions in strips. Mince the garlic and ginger. Peel and cut sweet potato and carrot in cubes. Dissolve broth cube in water for broth. In a pan over high heat, cook the onion, garlic and ginger for 2 minutes in 1 tbsp of vegetable oil (2 tbsp for 4p). 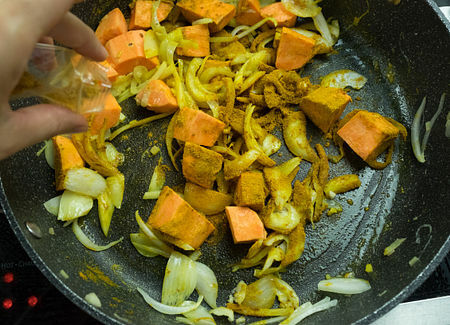 Add sweet potatoes and carrots along with the spice mix (*). Mix well. Add 1 cup of water (2 cups for 4p) and broth cube and bring to a boil. Simmer for 5 minutes. 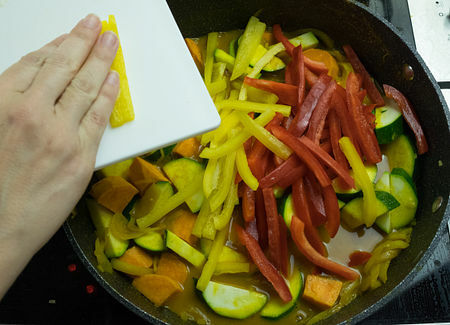 Add the zucchinis and peppers to the pan. Simmer for 5 more minutes. 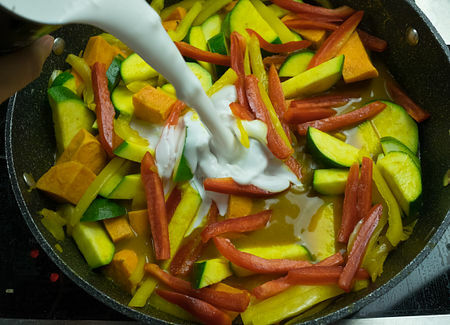 Add the coconut milk and bring to a boil. Simmer for 2 minutes. Chop the green onion. 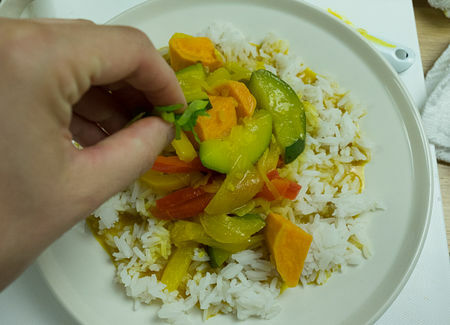 Serve the veggie curry on jasmine rice and top with green onion and sesame seeds. Season with salt and pepper to taste.